I learned a lot about oral history during my Masters project. At that time, I developed my own process for transcribing using Audacity and a plaintext editor; since then I’ve been hired to help on several academic oral history projects. I’ve left Audacity behind, and switched to using a combination of ExpressScribe and GoogleDocs for this work. Some clients also request help selecting audio recording equipment, file organizing, storage and backup. 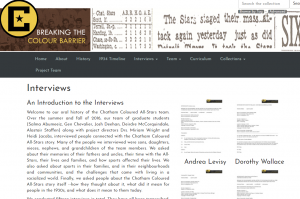 With the Breaking the Colour Barriers project, I began with transcribing and was later asked to do interview indexing as well. 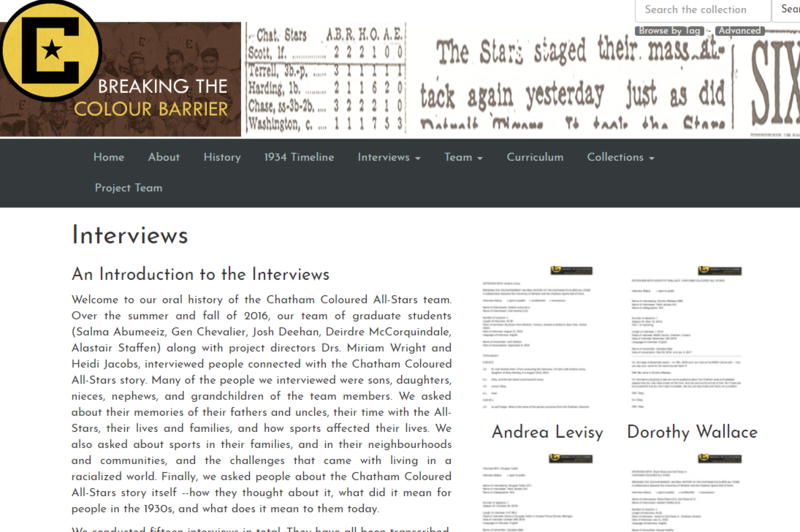 Breaking the Colour Barriers acknowledges the support of the Ontario Trillium Foundation, the Chatham Sports Hall of Fame, the Chatham-Kent Black Historical Society, the Multicultural History Society of Ontario, the Department of History (University of Windsor), Leddy Library (University of Windsor), Faculty of Arts, Humanities and Social Sciences (University of Windsor), and many individuals.